Universal suction holder for Glass. 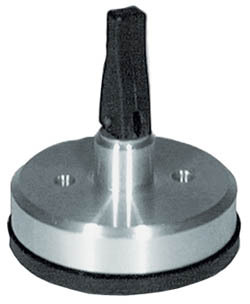 Universal suction holder for quickly affixing all kinds of objects such as measuring devices, displays, etc., suitable for all materials with smooth, flat, airtight surfaces such as glass, plastic, metal, coated wood, marble. Universal suction holder for quickly affixing all kinds of objects such as measuring devices, displays, etc., suitable for all materials with smooth, flat, airtight surfaces such as glass, plastic, metal, coated wood, marble, etc., also suitable for constructing special holding devices.